Lemax At The Carnival Figurines (Set of 2) depicts a young family enjoying a day at the carnival with a Son holding candy floss, and a Daughter holds tightly onto her balloon. Popular seasonal Lemax Village miniature piece which joined the Carnival Lemax Village themed range in 2010, suited for placement in a Lemax miniatures display. 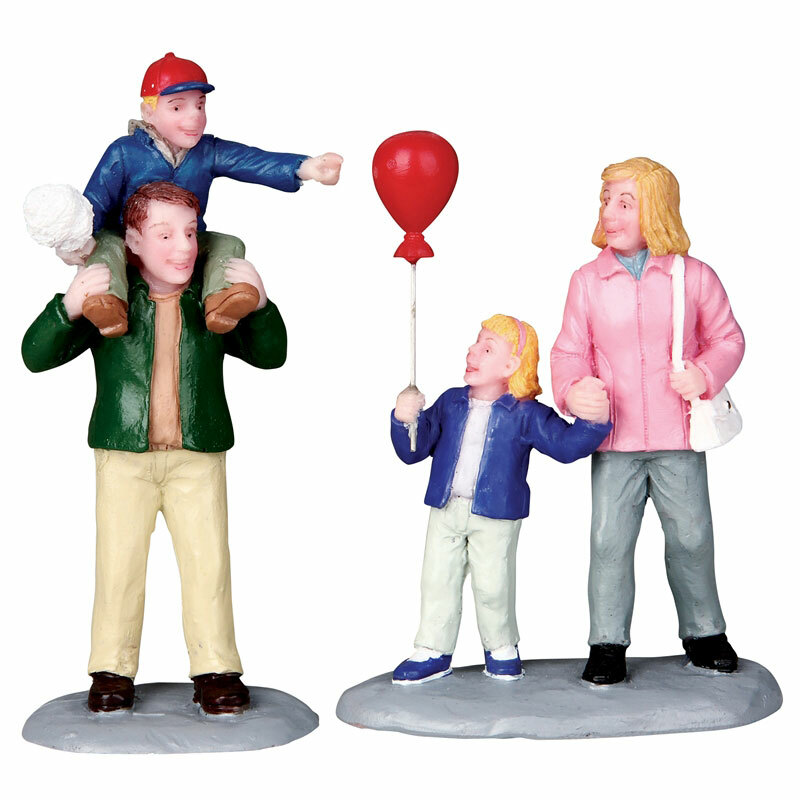 The At The Carnival set comprises of multiple individual hand painted polyresin figures on two individual street bases to compliment your seasonal Lemax Village display. Although I only live in a near by town I ordered my leemax figures on line so I could just walk in and they were ready. Which they were and a lovely man brought them to me and wished me a merry Christmas, I did actually end up walking round the beautiful Christmas displays and having a cup of tea in the friendly cafe !!! Delighted with my purchase and speedy delivery. Thanks.